Huntington Pointe is a picturesque active adult community in Delray Beach, Florida. Situated near many dining, shopping and entertainment options in Delray Beach, this gated community features two scenic lakes and a resort-style clubhouse. A full-time activities director keeps the social calendar busy and organized throughout the year. Huntington Pointe is comprised of 1,096 single-story villas and condominium units with different layouts, sizes and styles available on a resale-only basis. With so many options, buyers will be able to find a resale home to fit their lifestyle. Oriole developed these homes between 1990 and 2006. The 50,000 square-foot Huntington Pointe clubhouse functions as a diverse entertainment complex. Here, residents can attend fitness and sporting activities, Broadway-style shows, theater arts programs, themed social events, holiday celebrations and participate in special interest clubs. A weekly dance club and supervised sculpture, art, and ceramic classes all take place here. Its theater boasts 612 seats and features free current movies on a bi-weekly basis and variety shows every week. The state-of-the-art fitness center includes an aerobics and dance studio and is managed by a fitness director. Residents can participate in yoga, aerobics, and zumba classes. Indoor features of the health facilities include a heated pool, spa, and sauna. The clubhouse also features an on-site restaurant, The Village Cafe, that provides delicious snacks and meals for residents. The clubhouse grounds include four outdoor pools, a pickleball court, seven tennis courts, a bocce ball court, six shuffleboard courts and a putting green. Huntington Pointe also has a Village Cafe where residents can enjoy breakfast and lunch seven days a week. Other outdoor amenities include a beautiful gazebo and scenic ponds that accentuate the natural beauty of this 55+ community. Since Oriole developed this community with many styles of single-story attached villas and four-story condo buildings, buyers can choose from an assortment of resale inventory. Most residences have two bedrooms, two baths and oversized garages. Some residences have a third bedroom or den. The villas at Huntington Pointe are single-level attached homes that feature concrete block construction. Condo units are located in four-story buildings with balconies that often feature lake views. Homes have central air-conditioning, hot water heat and central heat. Some homes are located directly on the lake with desirable water views. Interior appointments include granite counters, hardwood and tile floors, eat-in kitchens and utility rooms. Since the association completes tasks like mowing lawns, fixing gutters and power-washing of driveways, residents of Huntington Pointe enjoy a relaxing, no-stress lifestyle with time to socialize and meet new people. Active adults and retirees have plenty of time to kick back by the pool, participate in activities and programs, and enjoy the on-site recreational facilities. Huntington Pointe is the ideal community for full-time residents and snowbirds alike. Some of the clubs and activities include movie nights, men's and women's clubs, fitness classes, dance club, bowling league, craft club, social club, softball, tennis, yoga, and so much more. Residents at Huntinton Pointe enjoy a busy social calendar all year long. Located north of Atlantic Avenue, Huntington Point's entrance is on the East side of Jog Road, a short drive from Delray's historic downtown district. Shopping, entertainment and dining are also only a quick drive away, especially at West Palm Beach City Place and Boca Raton's Mizner Park. Delray Beach is a lively beach city with its own appealing shops, galleries and boutiques. One of its major sports attractions is the Delray Beach Tennis Center. Other popular destinations in the area include the Morikami Museum & Japanese Gardens, the Wakodahatchee Wetlands, the Pineapple Grove Arts District and Atlantic Dunes Park. Boca Raton, Lake Worth and Boynton Beach are all less than ten miles from Huntington Pointe. 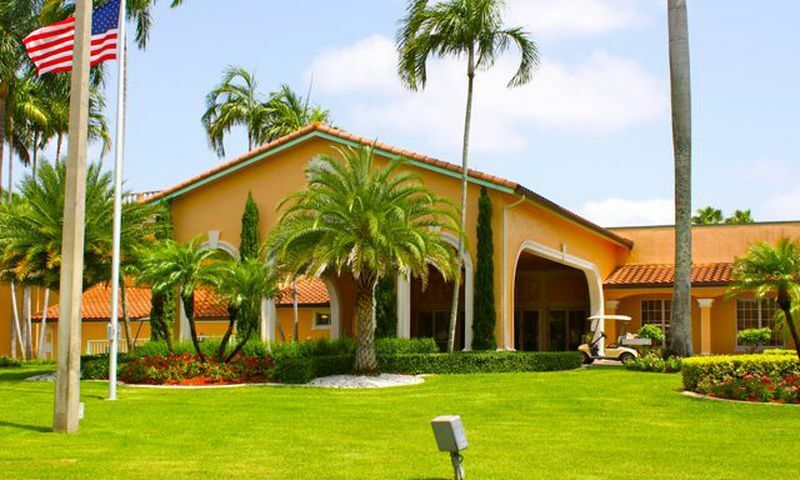 Huntington Pointe is an excellent active adult community Palm Beach County, Florida. There are plenty of activities available in Huntington Pointe. Here is a sample of some of the clubs, activities and classes offered here. Condos offer two to three bedrooms, two bathrooms, and available parking in the building lots. These condo buildings are secured four-floor buildings. Residents love these condos as they offer the ultimate in low-maintenance living. Many of these units have great views of scenic ponds. Please Note: Floor plans are note available at this time. Villas in Huntington Pointe offer 1,311 to 1,650 square feet of living space with two to three bedrooms, two bathrooms, and an attached one-car garage. With open floor plans and low-maintenance exteriors these homes were designed for active adults. Please Note: Floor plans are note available at this time. My condo needed some cosmetic updates but now that everything is done it's great! I've got nice water views and like that the community is gated. There are tons of activities going on which has helped me get to know a lot of people here. I take a couple fitness classes every week, I've been trying out some new crafts and I enjoy just lounging by the pool or meeting up with the girls for lunch at the cafe. The atrium in the clubhouse is beautiful too! 55places.com is not affiliated with the developer(s) or homeowners association of Huntington Pointe. The information you submit is distributed to a 55places.com Partner Agent, who is a licensed real estate agent. The information regarding Huntington Pointe has not been verified or approved by the developer or homeowners association. Please verify all information prior to purchasing. 55places.com is not responsible for any errors regarding the information displayed on this website.